In their Florentine workshop, sister and brother Claudia and Filippo work alongside their father, using traditional techniques to handcraft this stylish contemporary leather handbag with fold-over magnetic clasp, three inside and one outside pocket. 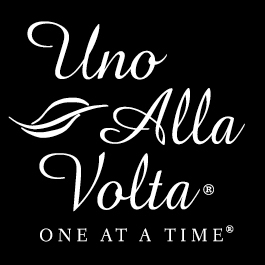 This leather handbag is made exclusively for Uno Alla Volta. Fabric lined, approx. 10 in. sq. with 30 in. adjustable strap. After 14 years as a leather cutter in Florence, Vittorio left his job to start crafting his own handbags of the finest Tuscan cowhide. In time, his children, Claudia and Filippo, each joined him in the workshop, infusing new vibrancy and contemporary style into the designs that are still meticulously handcrafted, uno alla volta.